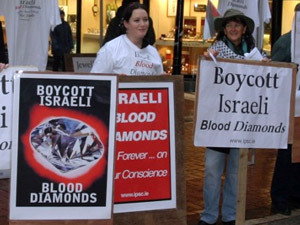 Every year, consumers the world over unwittingly spend billions of dollars on diamonds crafted in Israel, thereby helping to fund one of the world's most protracted and contentious conflicts. 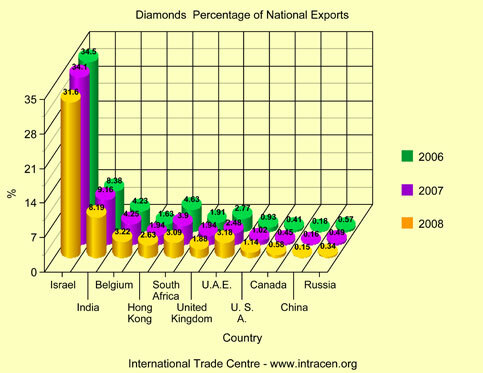 Most people are unaware that Israel is one of the world's leading producers of cut and polished diamonds. 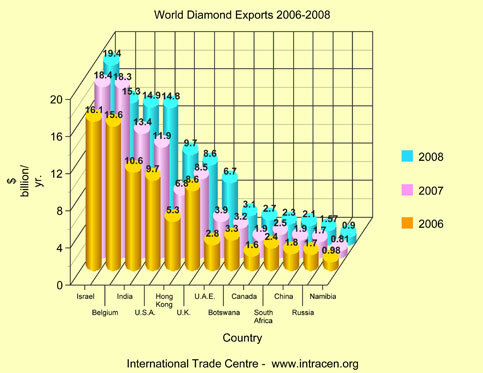 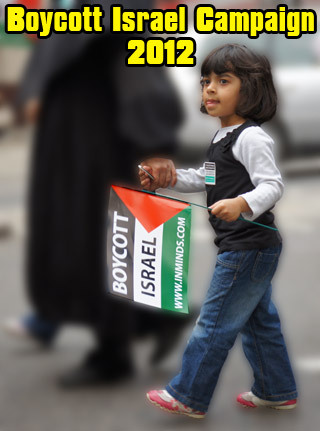 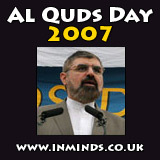 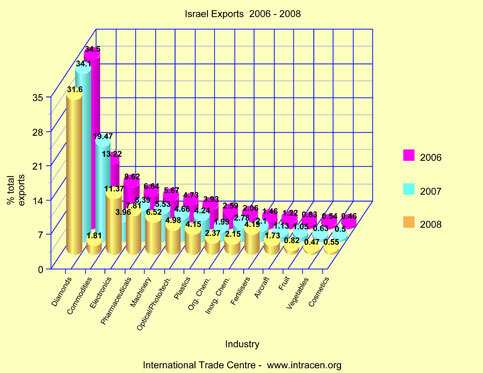 Israel is the world's leading exporter of diamonds accounting for 32% of national exports in 2008. 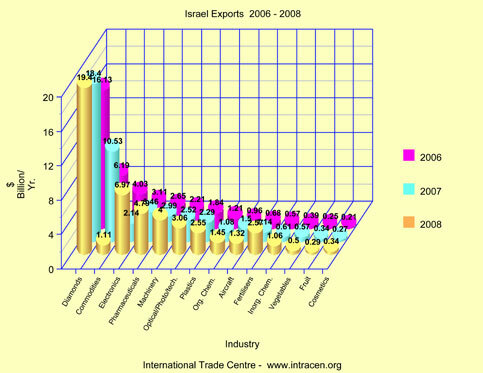 No other developed country is so heavily dependent on a single luxury commodity and the goodwill of individual consumers globally. 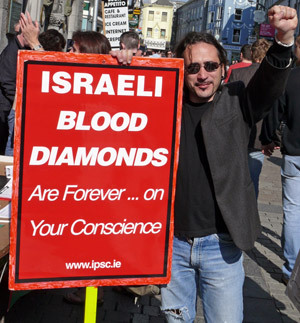 Anything that threatens the carefully-nurtured image of diamonds as objects of desire, romance and purity could have serious consequences for the Israel diamond industry and the country's ability to continue funding its illegal occupation of the Palestinian territories. 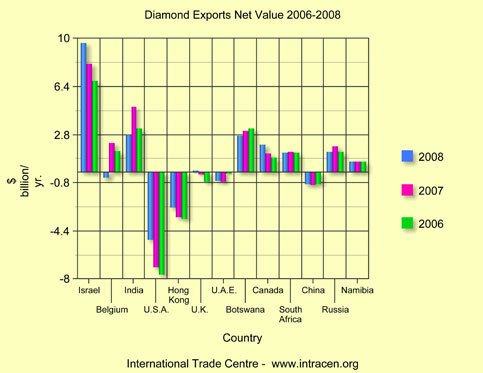 As diamonds are normally not hallmarked, consumers cannot distinguish an Israeli diamond from one crafted in India, Belgium, South Africa or elsewhere. 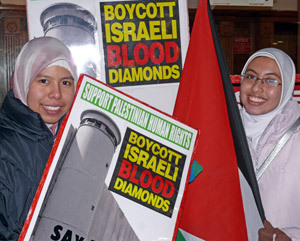 The global diamond industry and aligned governments, including the EU, have hoodwinked consumers into believing the diamond trade has been cleansed of diamonds that fund human rights abuses, but the facts are startlingly different.